How many applied branches of psychology are there? Applied psychology is divided into different branches. Some major branches include educational psychology, clinical psychology, counseling psychology, industrial and commercial psychology, neuropsychology, criminal psychology, forensic psychology, health psychology, engineering psychology, sports psychology, etc. 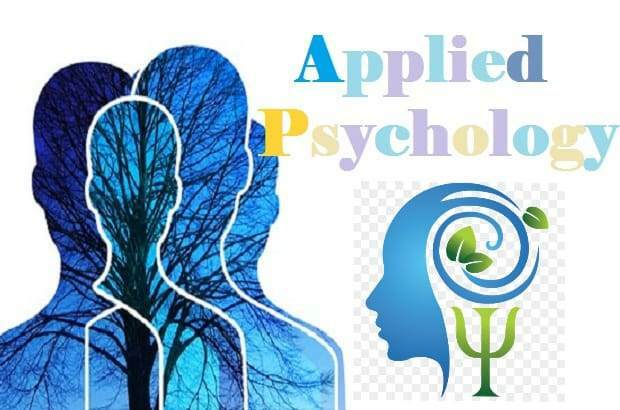 Applied psychology is a very specialized area of ​​psychology that is beneficial to solve the practical problems of human beings and animals and address and resolve behavioral issues. Applied psychology refers to the whole discipline, which includes all areas of psychological studies that use research-based findings. The range of this discipline is so diverse that some experts are involved in extensive laboratory research, while some other specializations are involved in field studies to create support programs. Applied psychology has some objectives, perspectives, scopes, and areas to deal with issues related to this area. The major perspectives in psychology are biological, behavioral, psychodynamic, humanistic, and cognitive. As a subject, general psychology is highly theoretical, but applied psychology is really practical. Psychology tries to highlight how humanity operates and works, and how the inner mind affects that. On the contrary, applied psychology actually tries to improve mental health and welfare through various stages of human development. People working in this area usually try to be very subjective in their approaches. This separates them from the theory researchers, who are highly objective. Due to this difference, the way they follow their duties is very different. Educational psychology is the application of the principles and laws and theories of psychology in the field of education. Therefore, educational psychology is concerned with the general characteristics of the various stages of growth, and to benefit from these characteristics in the construction of curricula that are consistent with the characteristics of these stages; so that each person will give the educational experiences in a timely manner when we are sure of maturity enough to understand what we want to know for him. Topics include: learning - abilities - personal - psychological phenomena. And includes the application of the results of theoretical studies, and how to use them within the school for different stages of education. Educational psychology uses psychological tests to measure students' intelligence and mental abilities and to assess their achievement scores in a practical manner that takes into consideration the conditions of good testing. Science teaches a similar set of work done in different institutions or institutions. Teaching is a profession because it involves various teaching activities in different disciplines and in different schools. Counseling Psychology helps decent people solve their problems in a particular area, whether educational, professional or family. Commercial psychology is concerned with studying the motives of purchasing and the needs of consumers and estimating their psychological attitudes towards existing products, through the conduct of some referendums and tests. It also examines the psychology of advertising, the design of the advertisement, its composition, type, size and subject matter, and the ways of understanding between the seller and the purchaser, in addition to the seller's activity, optimism, and humor. Industrial psychology aims to raise the level of production efficiency of the worker or the working group, by solving the various problems that affect the fields of industry. Industrial Psychology uses psychological tests to select the most suitable workers and put them in the appropriate professions due to their mental and psychological preparedness. It examines the causes of accidents and fatigue in the industry and its effects on production in general. Engineering psychology, also known as Human Factors Engineering, is a field of psychology that concentrates on the relationship between humans and the products that we use in our daily life. It a science of human behavior and ability, which is applicable to the design and operation of systems and technology. As an interdisciplinary part of ergonomics and an applied field of psychology, its purpose is to improve relationships between people and machines by redesigning the device, interaction, or the environment. The work of engineering psychologist is to make the relationship more "user-friendly". Criminal psychology is known as the psychology of crime, an applied branch of homosexual psychology. And examines the motivations and feelings of emotion that trigger the crime and its motives, and the best ways to treat them using the scientific method of treatment. Criminal psychology studies criminality in its various stages, beginning with the discovery of the crime, the prosecution of the offender and his treatment since his arrest, the expiration of his sentence or his reform, and following him after leaving the community to become a citizen. Forensic psychology is the area between psychology and the justice system. This includes particularly the expert material of witness testimony and concern, as well as understanding the fundamental legal principles in relation to relevant judicial views so that they can communicate properly with judges, lawyers, and other legal professionals. An important aspect of forensic psychology is the ability to testify in court as an expert witness, improving the legal language of psychological findings in the court, providing information to legal personnel in such a way that can be understood. Court psychology is a subset of Forensic Psychology. It examines psychological and poetic psychological factors that are likely to have an impact on all those involved in the criminal case: the judge - the accused - the lawyer - the public. It is not interested in studying the motives that led the defendant to commit his crime, as much as it examines the statements before the judiciary and the condition during the arrest. It also examines the impact of public opinion, the press and radio, and rumors among people about the case. The preparations of the armies are completed when they are psychologically prepared so that the army remains in its psychological state, which uses psychological tests, to choose the best soldiers and officers to distribute them to different units commensurate with their abilities, potentials and preparations, and work to identify some of the personality traits contributing to the success of some military professions. some psychologists use it to carry out the process of professional testing, the design of vocational training programs, support morale and contribute to the establishment of healthy social relations among workers in this area. Aerospace psychology (Aviation psychology) is a branch of psychology which studies psychological aspects of aviation, improving identification of psychological causes of aircraft accidents, refining the selection of applicants for occupations and and interaction between employees, and increasing efficiency and safety of aviation, and promoting the application of cognitive psychology to understand human actions and behaviors, and cognitive and emotional processes in aviation. Health psychology is concerned with studying the mutual effect between the state of health and the psychological state. Cancer disease - physical condition - may be related to the occurrence of depression - psychological condition. We also know, for example, that recurrent stress - a psychological state - can lead to hypertension or heart disease - a physical condition - in order to evaluate, diagnose, interpret, treat and prevent diseases. Health psychology deals with the study and research of health-related behavior, ie, the study of the effect of good health habits on disease prevention. For example, addiction to alcohol may lead to cirrhosis of the liver and some cancers, as well as to a significant cognitive deterioration, and is concerned with the treatment of addiction and the prevention of relapse, the re-emergence of addiction again. One of the topics studied by health psychology is the subject of pressure and its impact on individuals from the physiological and behavioral aspects, and how their impact varies from one individual to another ?. Clinical psychology is one of the disciplines in psychology and is concerned with the diagnosis and treatment of mental disorders. Diagnosis is usually performed by clinical interviews and sometimes by psychometric tests. Treatment is carried out by various psychological means, without drugs, which are not entitled to be prescribed. Clinical psychology studies some personality disorders, mental illnesses, different diagnostic methods, and appropriate treatment techniques for the type of disorder. The neuropsychologist helps identify the damaged parts of the brain. This science studies the methods of psychological experimentation, laboratory, and the basic elements of psychological experience. It also offers training in psychological experimentation on vision, hearing, motor coordination, learning, memory, time of reaction and others. Management psychology is the science that tries to apply the principles, laws, and methodology of general psychology to the staff, employees, and supervisors in the field of management, and thus it tries to answer questions related to the behavior of employees in different companies and institutions. Management psychology helps guide and lead these employees, by what they know themselves and their potential, and helps them to make wise choices for their jobs and put them in appropriate jobs to their potentials and qualifications and experiences and it raise their morale and increases their efficiency and production. Sport psychology is concerned with the study of psychological, social and educational factors affecting sports behavior towards achieving a high level of performance and athletic achievement. In adapting sports psychology to serve athletes, a new trend has emerged which speaks of the importance of suggesting patterns or psychological models that are consistent with the nature of each sport and the individual personality traits of the player, his duties and his role in the team. Choose Which Psychology Career is Right for You? Many psychology students, at the beginning of their studies, do not know what subfield of psychology they want to specialize in. But as you move forward in your studies, you have inspirational professors and some classes that really resonate with you. Along with most psychology students, you will naturally find the area that is right for you and matches your desires and career goals. (2) How Many Theoretical Branches are in Psychology?